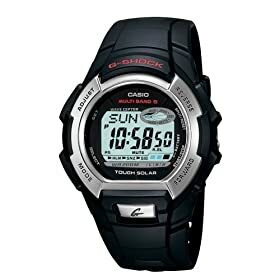 The newest gadget created by Casio is the atomic watch. Yes, that watch we all see in movies, that one which doesn't lose nor gain a second in 30 million years. Now it is available so that everyone can have one at his own wrist. The watch syncronizes with an atomic time signal from up to 2000 miles away from one of the transmitters located in USA, England, Germany and Japan. The first time you use it, you have to set your current location and after that, it will pick up himself the time of the zone you visit. It also has a solar panel that powers the battery. The atomic watch is available HERE, on amazon.com. That one has a few more components, such as altimeter, barometer, etc.